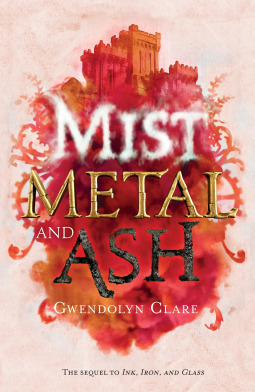 To ask other readers questions about Mist, Metal, and Ash, please sign up. Duology or should we expect more books in the series? ~Vinyl♤♡◇♧ On her page it said this was going to be a duology, but you never know. Is this a duology, a trilogy, or some over type of series? Gwendolyn Clare's debut novel -- INK, IRON, AND GLASS -- is the first in a steampunk duology about a young mad scientist with the ability to write new worlds into existence, out now from Imprint. Her short stories have appeared in Clarkesworld, Asimov's, and Beneath Ceaseless Skies, among others, and her poetry has been nominated for the Rhysling Award. She holds a BA in Ecology, a BS in Geophysics, a PhD in Mycology, and swears she's done collecting acronyms. She lives in North Carolina with too many cats, too many ducks, and never enough books.